For this project, BCG hired me to derive new and innovative ways to use graphic design to make their Bangalore office more engaging, as well as establish it as the leading and flagship technology and data hub. 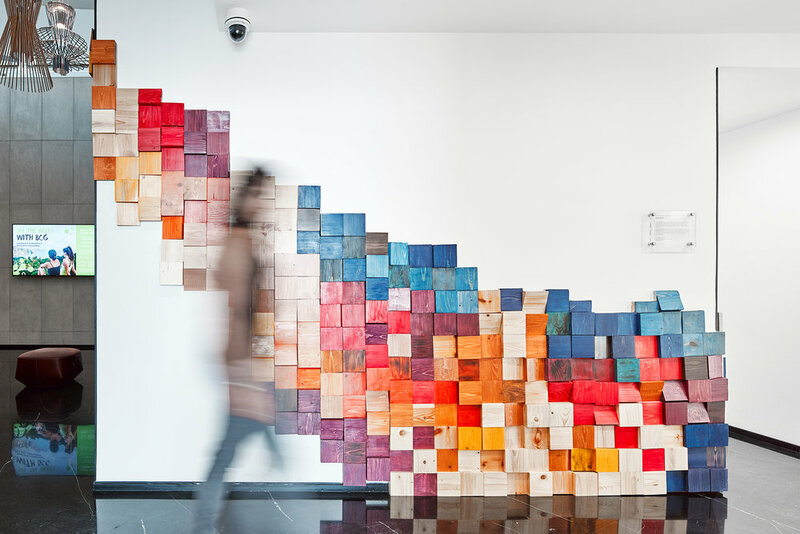 We developed many installations around the space, the highlight being the entrance lobby installation which integrated BCG’s HR data into graphic patterns that were applied to colored wood to create a unique and powerful graphic. For another installation I graphically interpreted BCG’s 5 leading principles, and used a layered paper-cut method to create 5 artworks that were mounted at the entrance to the second floor. Sketches shown below.